I’ve already told you about the Movie and TV stars who will be at ShockaCon this year, and you probably know about all the vendors selling cool scary and spooky stuff, but today we’re going to let you know about the other cool things happening at Charleston’s only horror and sci-fi convention. 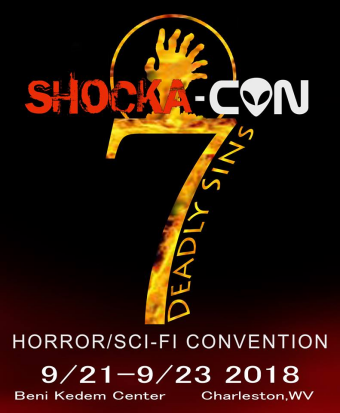 First, you ought to know that ShockaCon 7 happens this Friday, Saturday and Sunday at the Beni Kedem Shrine Center on Quarrier Street in Charleston. It’s right between the Charleston Civic Center and the Charleston Town Center Mall. You can’t miss it. September 21, through 23 the Shrine Center becomes ground zero for all the macabre fun you can imagine…and some that you might not be able to. Asdie from the Cemetary Knights Hearses and the Terminus Grill, you’ll find Ghostbusters, Renfields, Belly Dancers, cosplayers, gamers, and stars like Linnea Quigley and Sean Patrick Flanery, you can find all sorts of cool panels, and workshops. 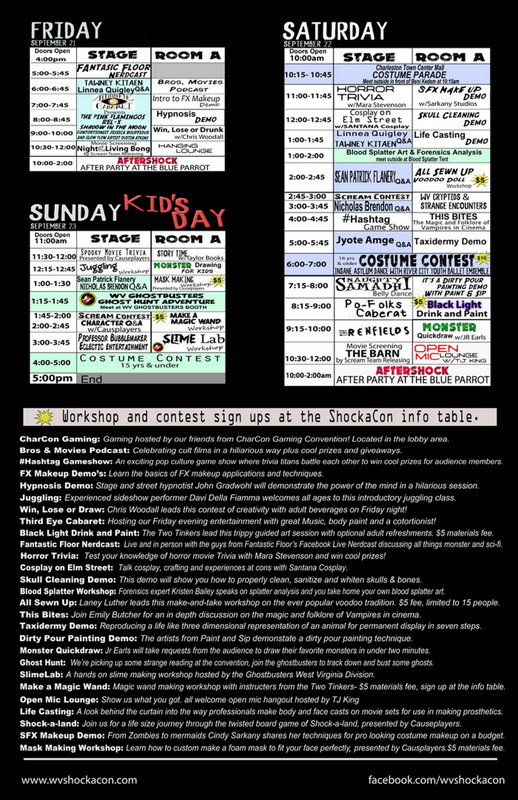 Today we’re going to bring you the schedule for ShockaCon again, along with descriptions of the panels they’re having this year.